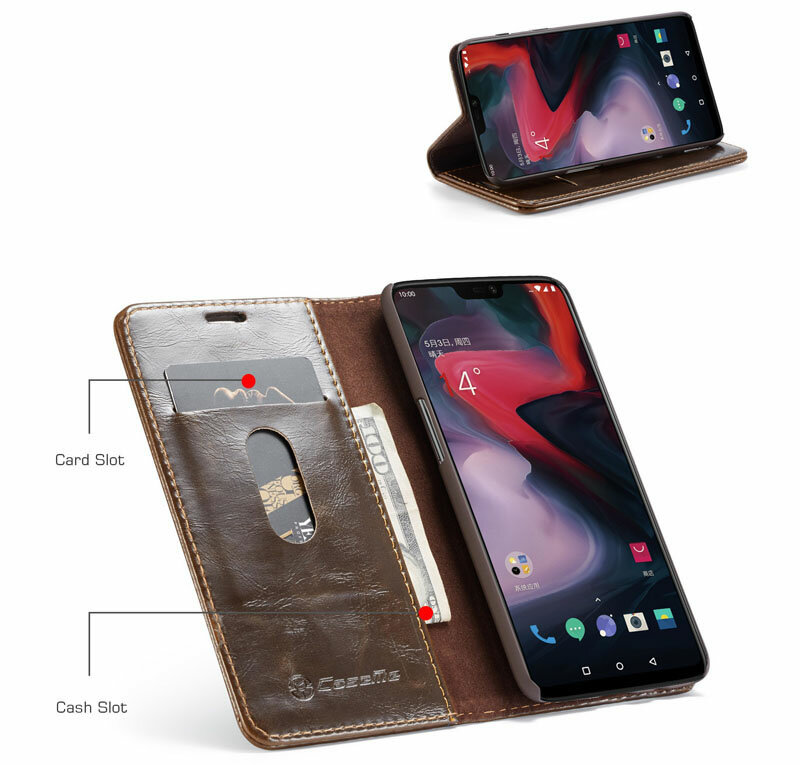 Free Shipping, Buy Genuine Original CaseMe Oneplus 6 Magnetic Flip Leather Wallet Case with 1 Credit Card Slots at Casemecase.com. 1) Foldable Stand Feature for Hand-Free Movie-Watching or Video-Chatting. 2) Unobstructed screen and camera; free access to all ports and buttons. 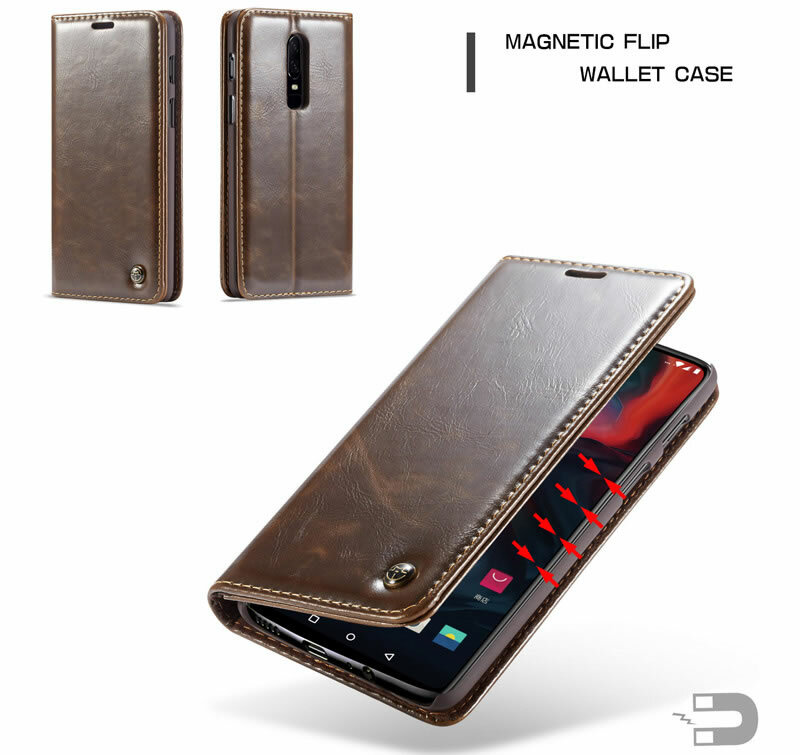 3) Convenient Storage Space for Bank Cards, Notes, Receipts or ID Card. 4) Integrated magnet closure preventing the flap from moving around as well as protecting the screen. 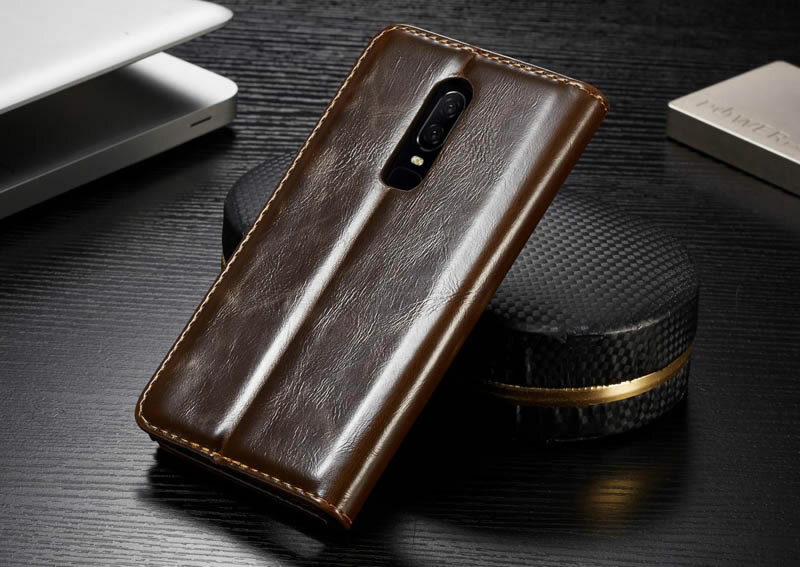 Take pictures, listen to music, charge your phone, and use your side buttons without ever removing the case! 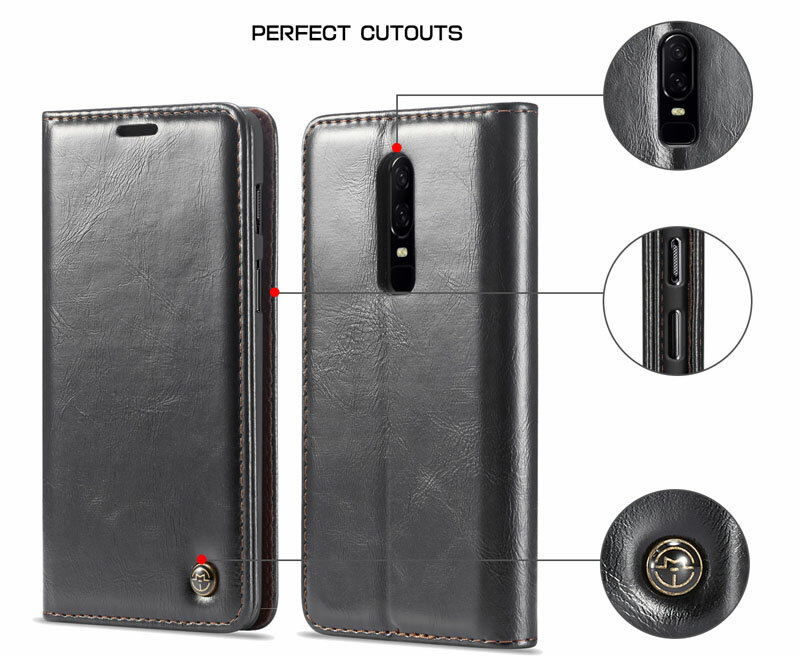 Exquisite cutouts offer an easier access to all ports, all buttons, sensors, speakers and camera on your phone. 1 Credit Card Slot + 1 Bill Card Slot. You can carry around your ID, credit and debit cards, and cash without having to take your wallet with you. 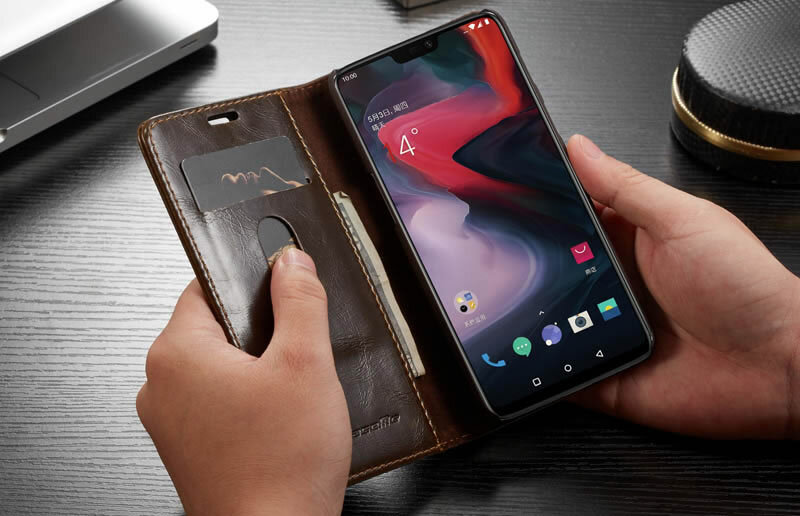 Magnetic closure conveniently keeps your OnePlus 6 phone tucked away for security. 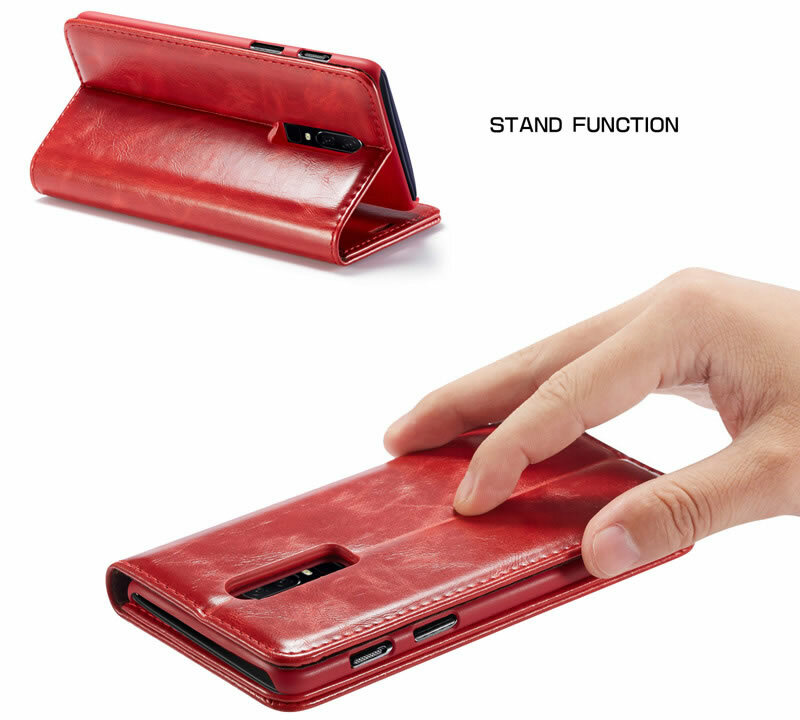 Kickstand function is convenient for movie-watching or video-chatting, and easy to take photo at anytime . 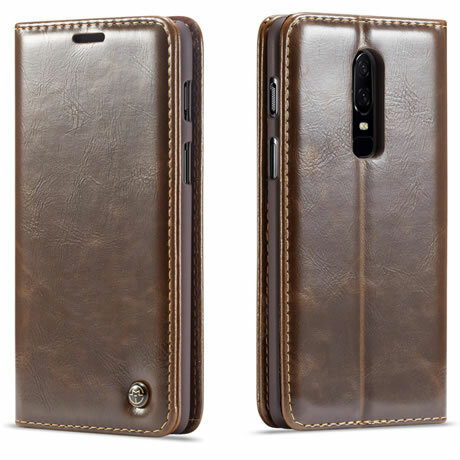 Cases were purely 100% handmade , PU leather has a smooth, consistent texture, which is easy to clean and maintain ,The hand feeling of the premium leather is top-grade.